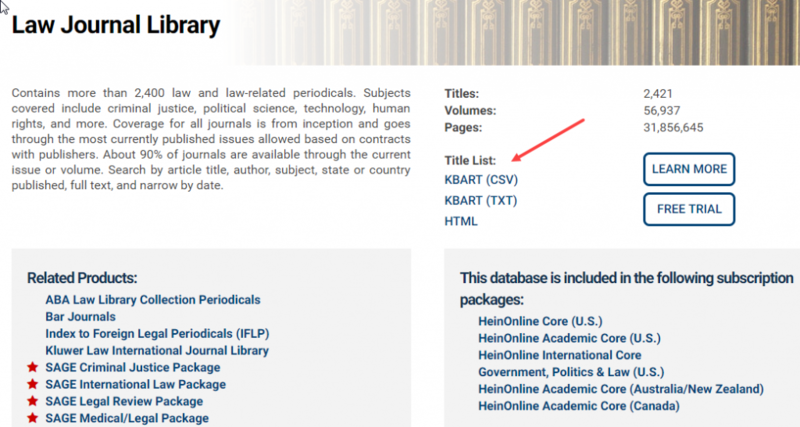 To access a downloadable list of titles for a library, you must first log in to HeinOnline or access HeinOnline through your IP authenticated subscription. After logging in, go to the HeinOnline Welcome Page (for most subscribers this is the page you will see first), and click on the More Information icon next to a library. 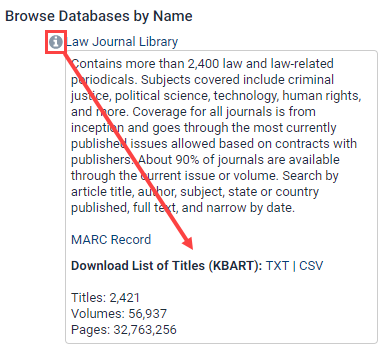 This will display a description of the library followed by a link to download the titles as a CSV or KBART file.